Rushford airport (55Y) adds 24 hour fuel options! 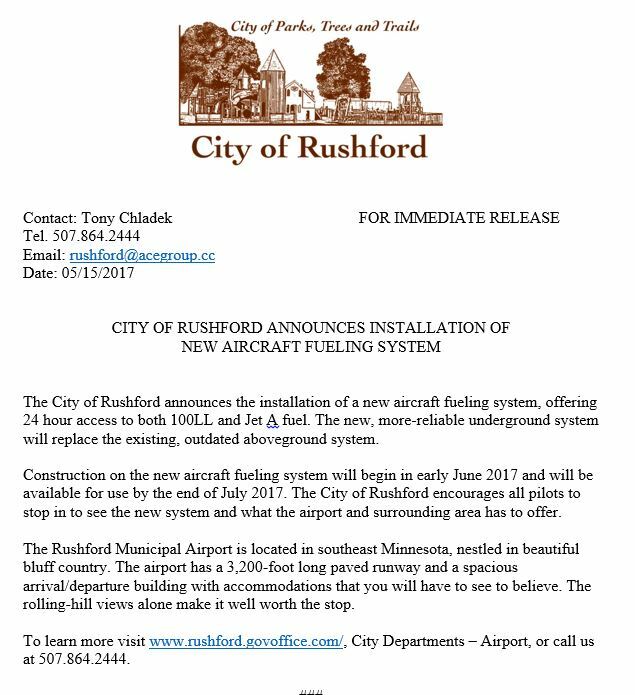 We are pleased to announce that the City of Rushford has installed a brand-spanking new aircraft fueling system, offering 24 hour access to 100LL and Jet A fuel! You won’t find a more scenic area of Minnesota to visit by aircraft or car or bicycle! Congratulations to the pilots and administrators who helped make this a reality! This entry was posted in News on 05/16/2017 by Randy Corfman.